View More In Oxygen Therapy - Page 3. 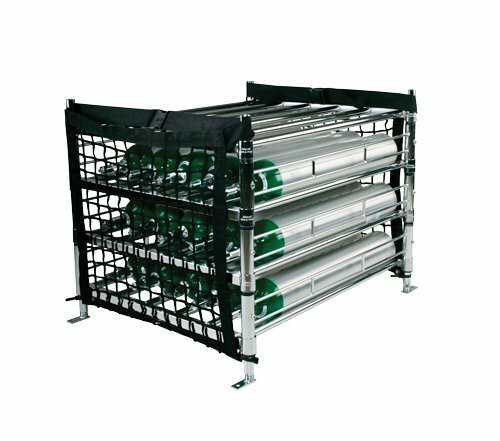 Whether you need to transport your own oxygen tanks or deliver multiple tanks, this portable oxygen tank stacker safely and silently nests your cylinder tanks to protect them from moving around and hitting one another. Comes with bolt down feet for mounting into van or other vehicle. Netting is on both sides of the unit for front and rear cylinder access. If you have any questions about this product by W.T. Farley Inc, contact us by completing and submitting the form below. If you are looking for a specif part number, please include it with your message.